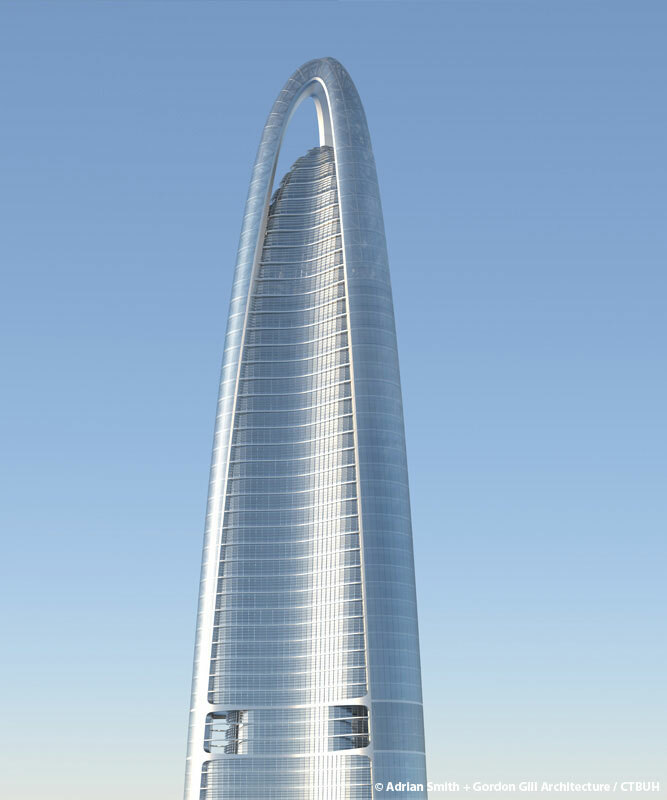 Owner	 Wuhan Greenland Bin Jiang Property Co. Ltd.
• Civil	 Prism Engineering, Inc.
• Interiors	 Cheng Chung Design (HK) Ltd.
• Parking	 Prism Engineering, Inc.
• Traffic	 Prism Engineering, Inc. 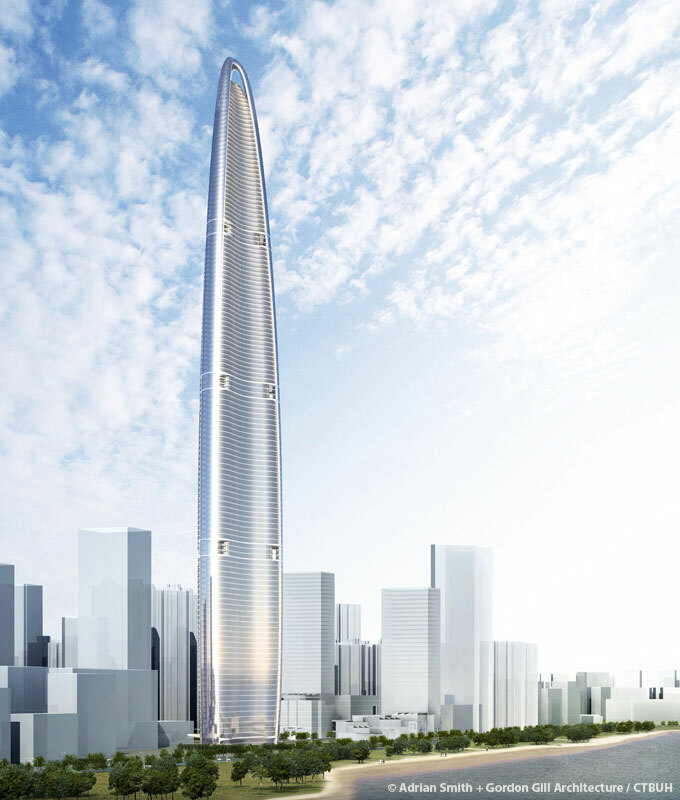 Rising from its site on the Yangtze River waterfront, the Wuhan Greenland Center symbolizes the growing vitality of Wuhan, the most populous city in central China and a major player in the country’s economy due to its status as a multi-modal transportation hub. 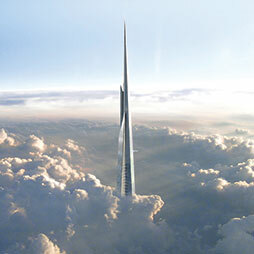 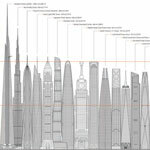 Like many towers that seek to transcend the 600-meter threshold, wind and seismic considerations were paramount in the design process. 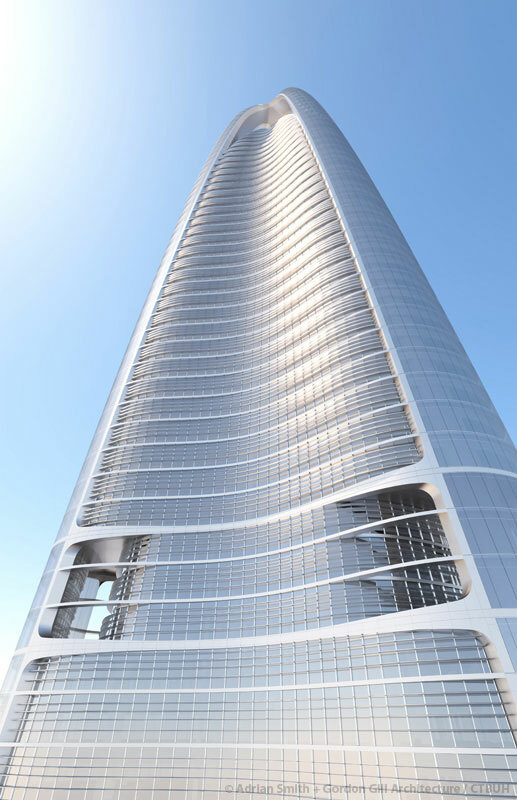 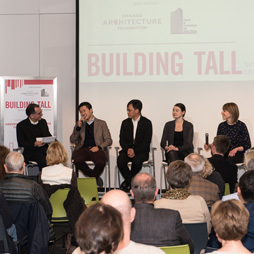 To address these issues, the tower uses a triangular floor plan that gently narrows along its height to provide extra stability that protects against intense winds and seismic events. 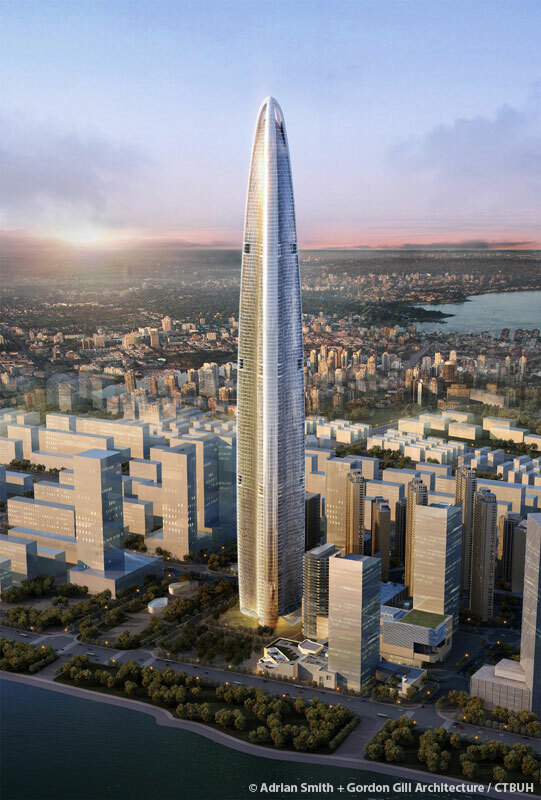 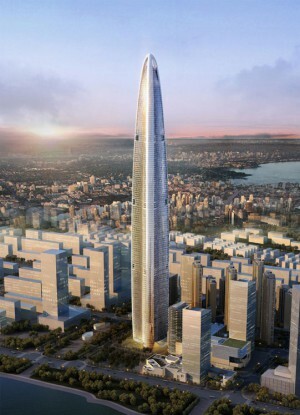 Three large sloping steel-reinforced concrete (SRC) columns rise and join at the top of the building to form the 61-meter crown structure that rests above a glass dome. 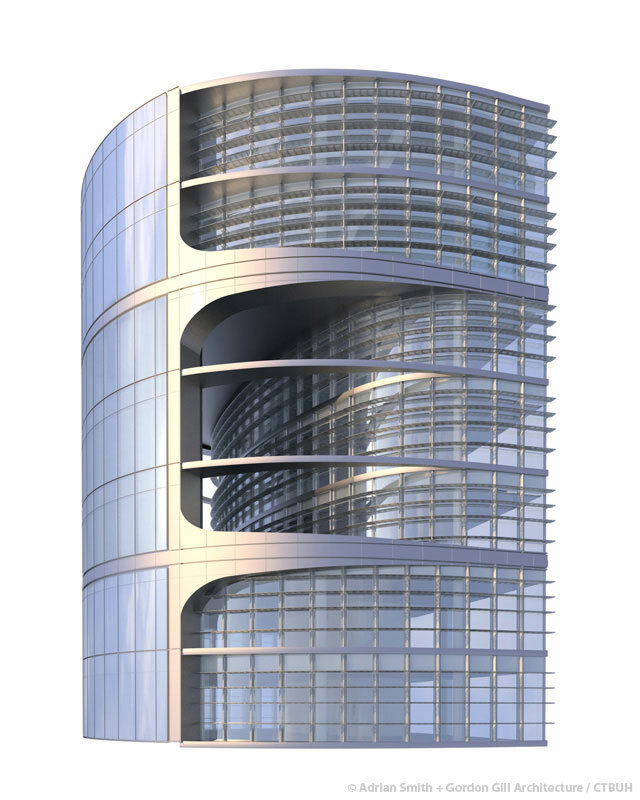 By omitting portions of floors and perimeter framing at different elevations, “slots” are created in the building envelope to provide a distinctive architectural personality while reducing wind loads on the structure. 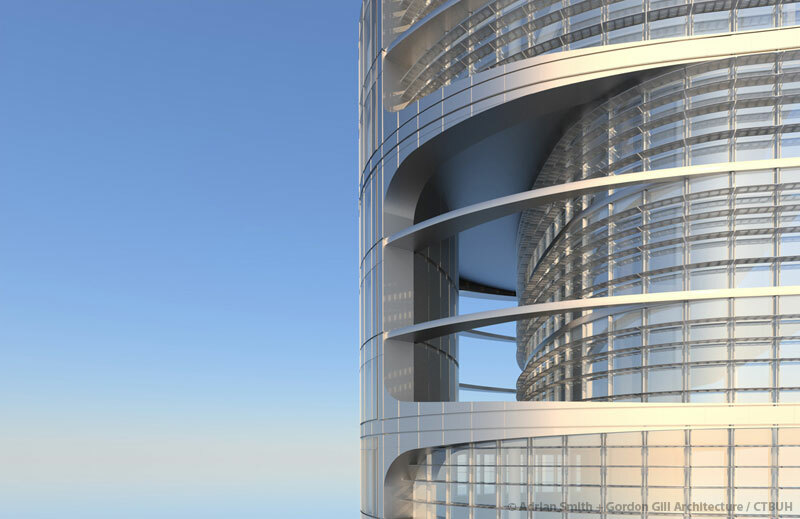 In this respect, the locations and geometry of structural components have been carefully optimized to not only provide strength and stiffness, but integrate seamlessly with the form of the building. 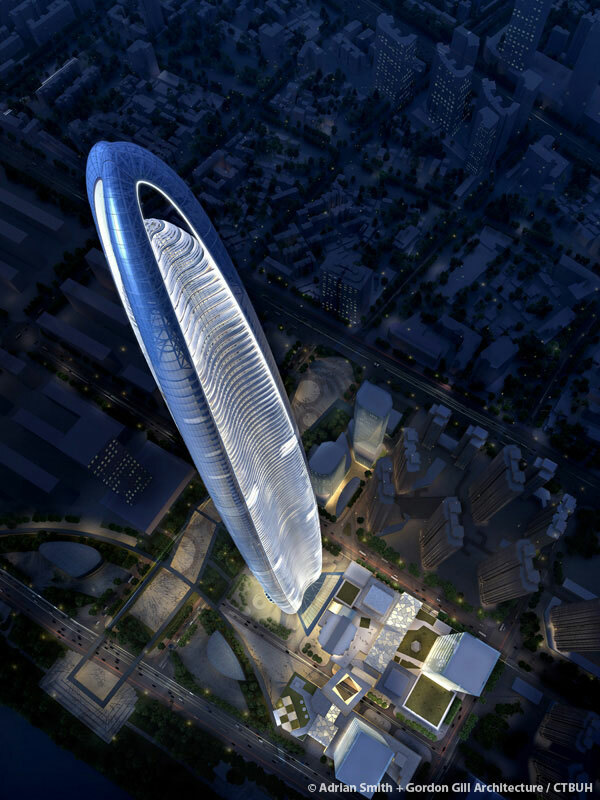 Wuhan Greenland Center provides spaces for three distinctive functions: office, apartment, and hotel. 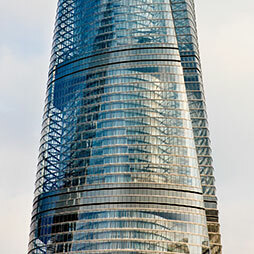 While some mixed-use towers separate users by levels, the triangular floor plan of this building allows for the tenants or visitors to have separate entrances at the ground level. 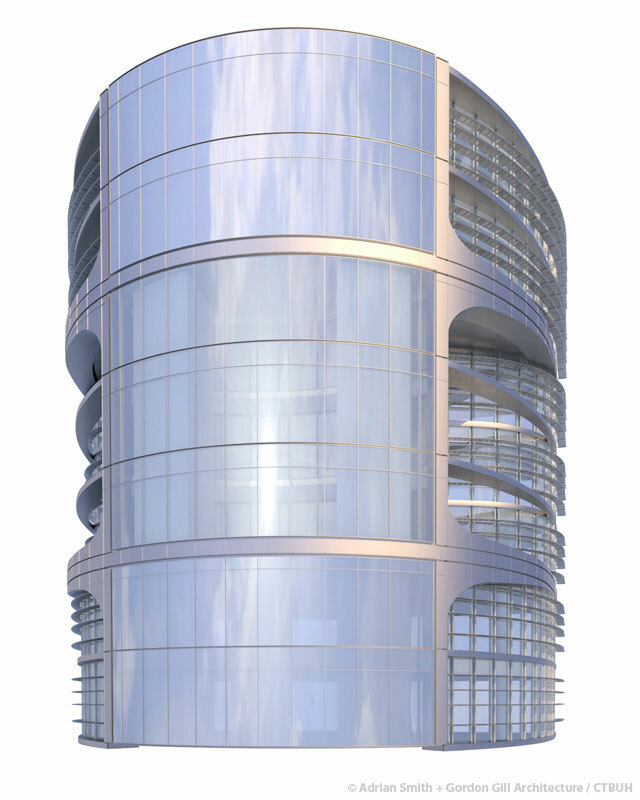 Though not each of its three functions take up equal space, office workers, residents, and hotel guests will each have a unique experience upon entering the building. 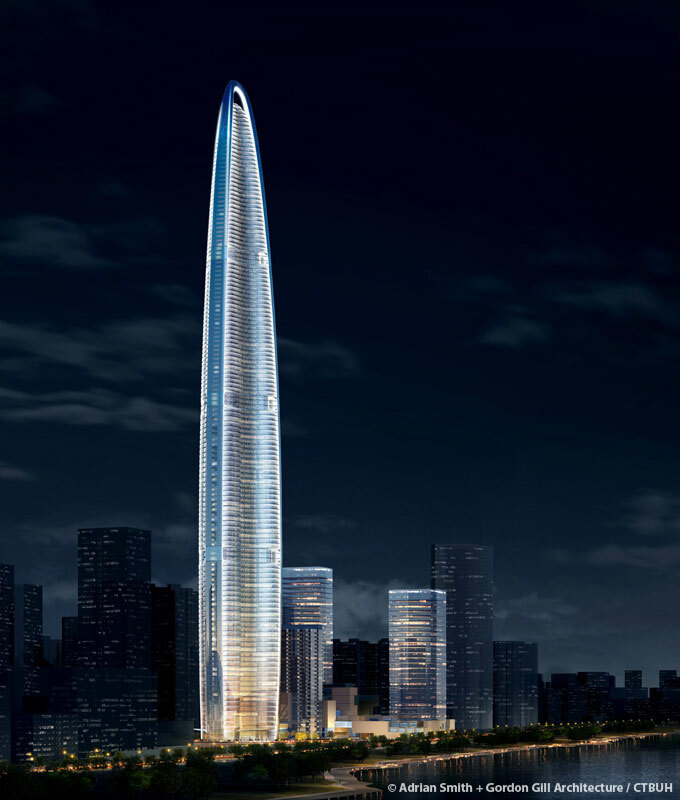 The dome at the top of the tower will be completely clad in glass to create a well-illuminated space that highlights the towers structural components and dramatic appeal.